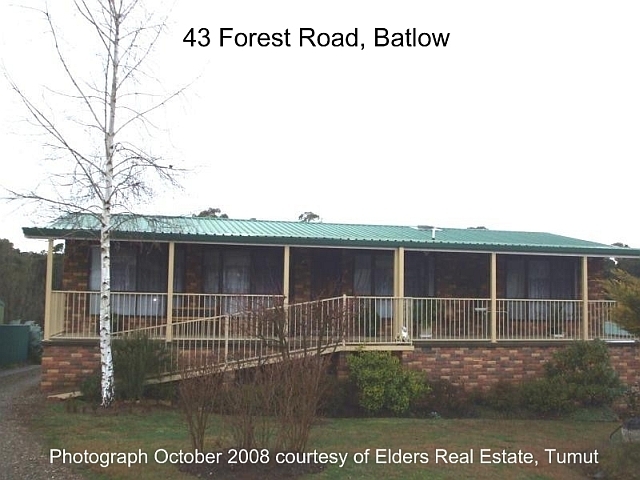 Batlow is a small town in the highlands of New South Wales. 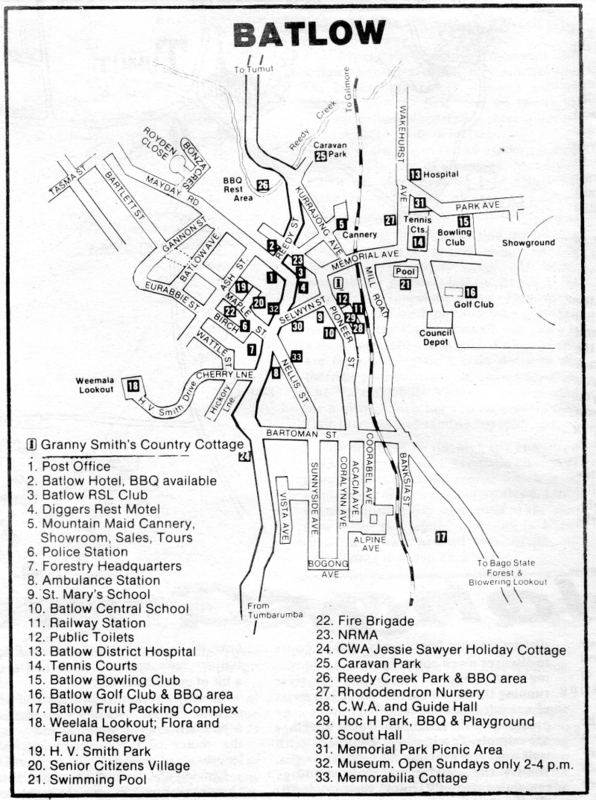 It began as a gold mining town, called Reedy Flat. 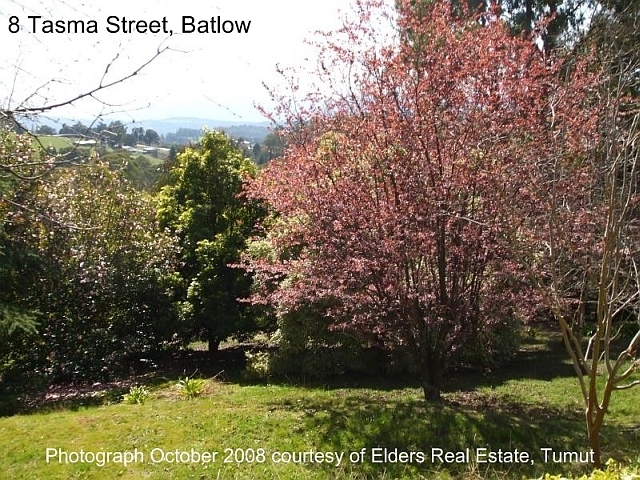 These days Batlow is most famous for growing apples, but also produces pears, cherries and other stone fruit as well as berry crops. 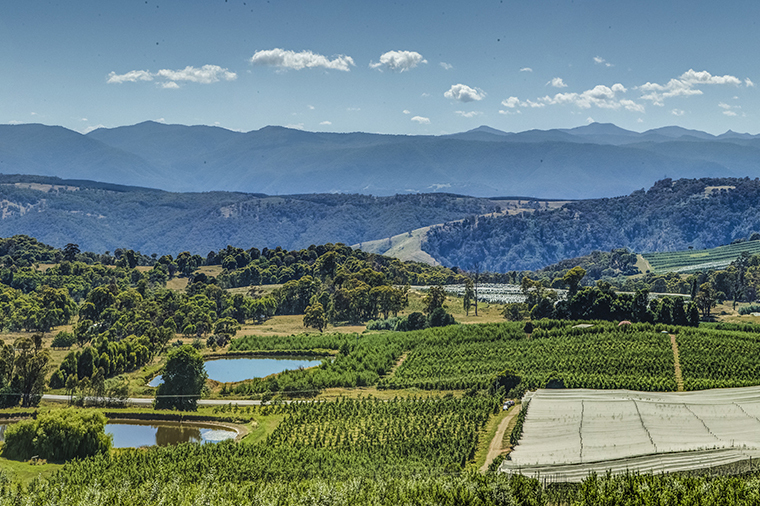 A strong timber industry and	the harvesting, packing and processing of the districts fruit crops are the town’s main employers. 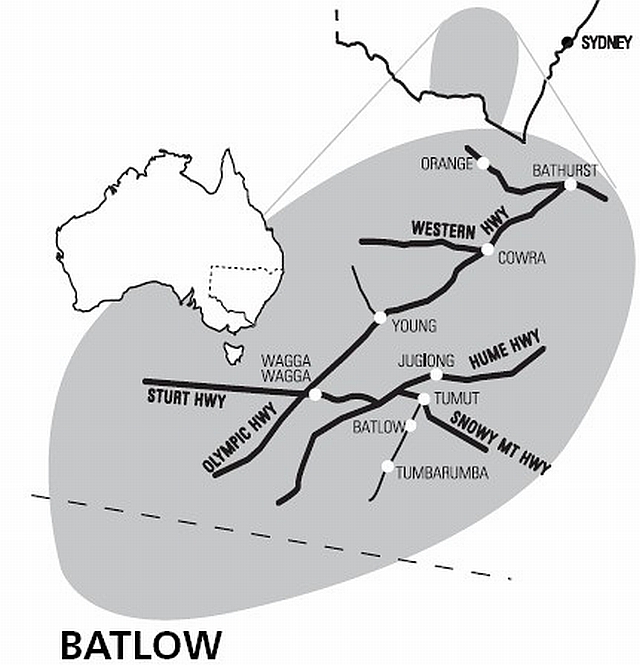 Batlow, which was named after the surveyor who laid out the place, is 443 km south west of Sydney via the Hume and Snowy Highways. 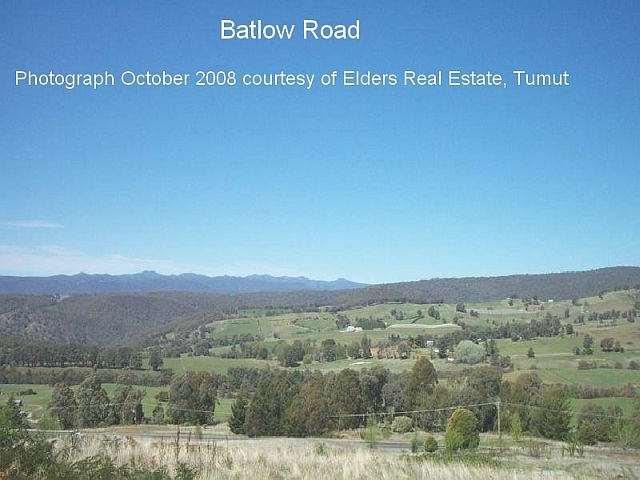 The nearest major centre is Tumut. 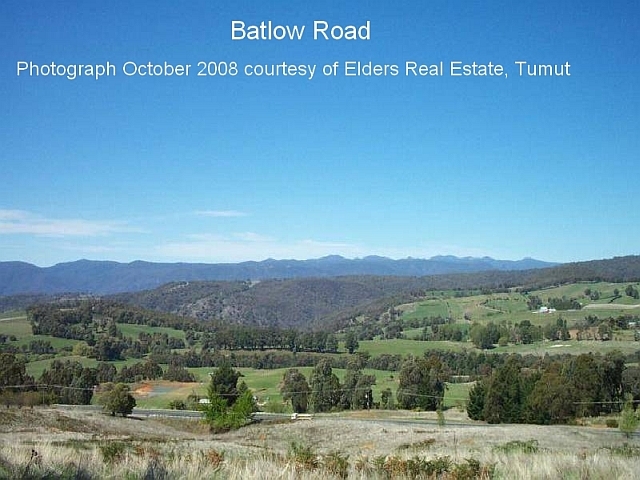 From Melbourne, Batlow is about 490 km north east via the Hume Freeway. 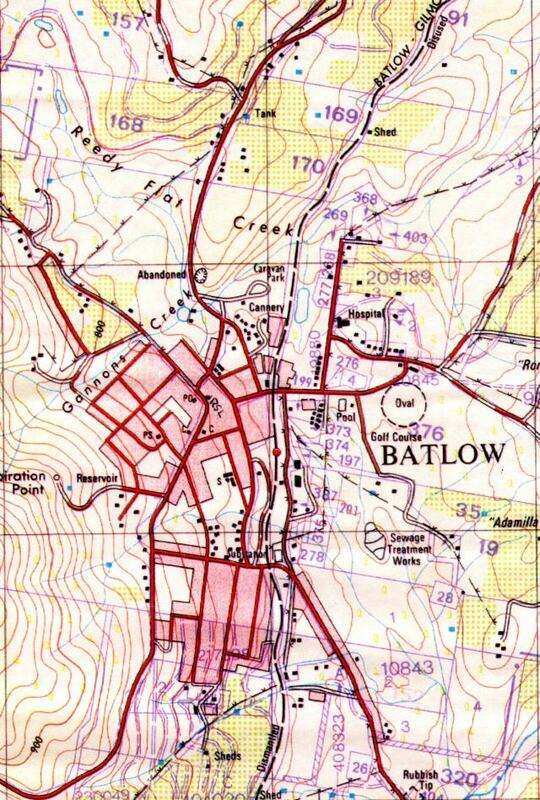 OTHER MAPS:	Location of Batlow. 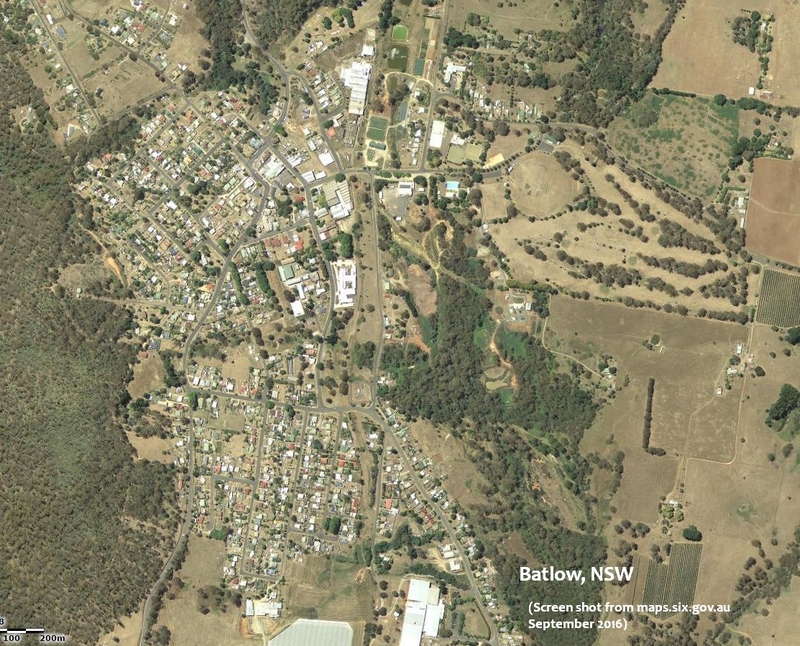 Aerial map of Batlow Location map with nearby regions. 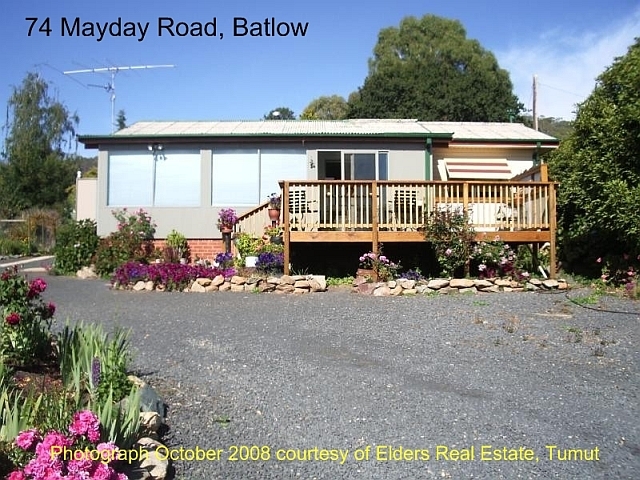 Video: See	Batlow Apples video on You Tube For more details click HERE. 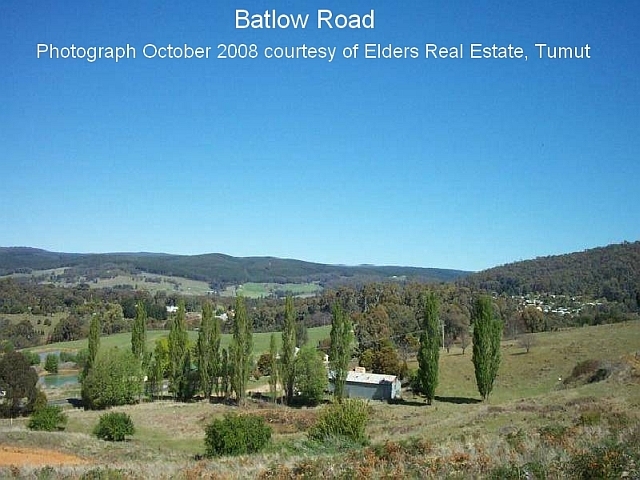 Those readers who have accounts with Facebook will find plenty of photos, old and new, if they visit the Facebook site named "Memories of Batlow NSW". 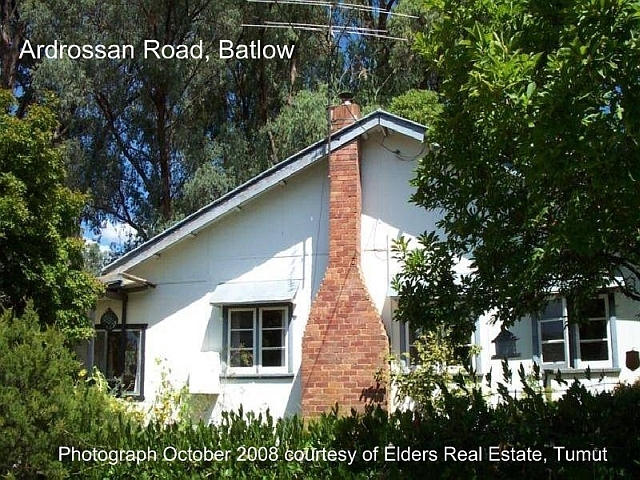 My father, the late Wifred "Wis" Keenan (1910-1998), was born in Batlow in 1910 and lived there until about 1950. 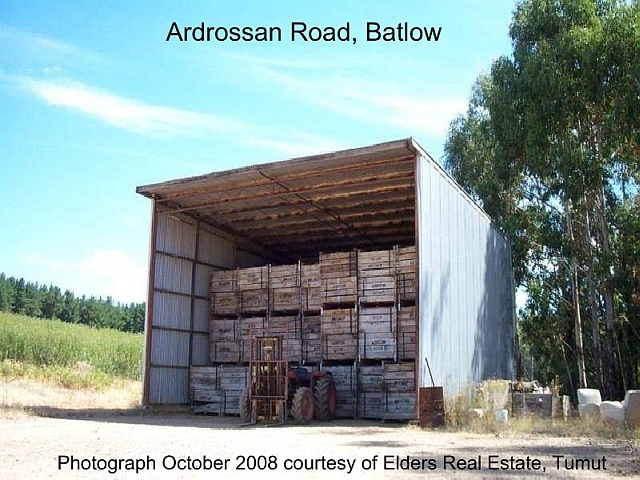 He handed on to me his collection of photographs taken in and around Batlow. 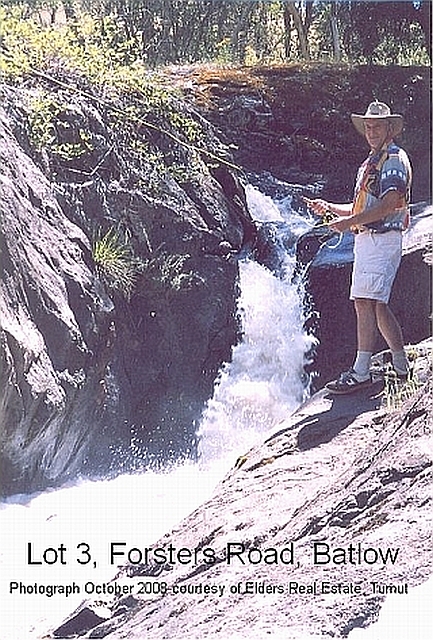 I am creating a special section of this website to display those photographs, and will put here a link to the collection as soon as the work is done. (Peter Keenan, September 2013). 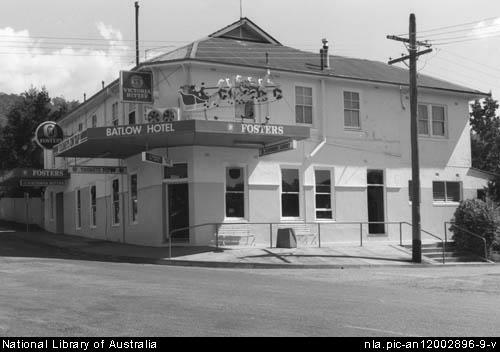 In May 1944 the Batlow Agricultural Bureau held a Pioneers Night. 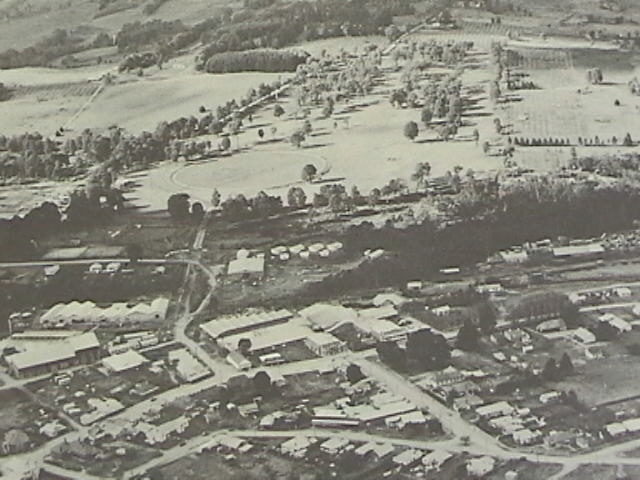 The idea was conceived by George Keenan, son of Aaron Keenan and Elizabeth Jane Morton, and grandson of Henry John and Nancy Jane Keenan. The function was held to honor "some 20 or more of the district's pioneers ... by entertaining them at a picture show and supper". 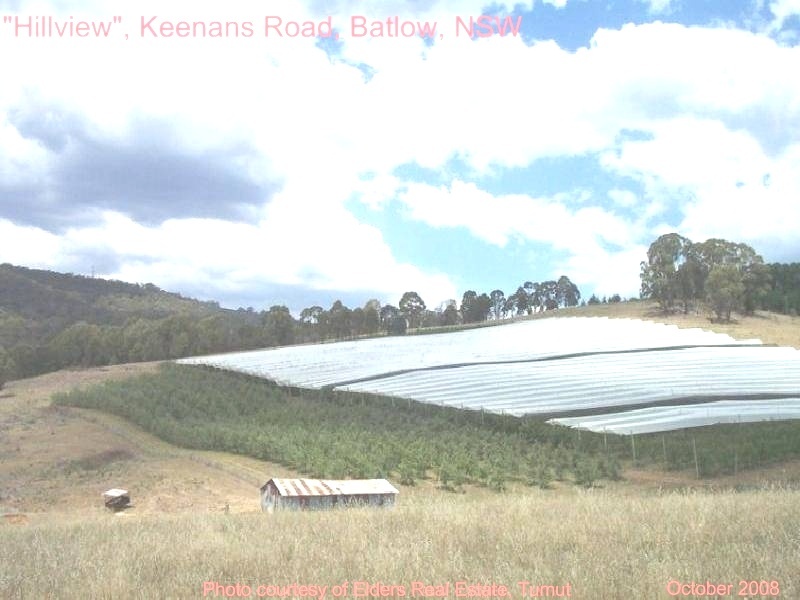 George Keenan was President of the Batlow Agricultural Bureau. 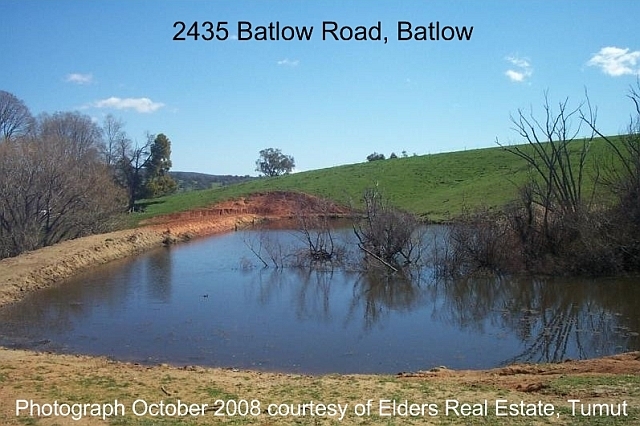 Each year since then a Batlow Pioneers' Night has been held in Spring (October). Naturally, the activities and procedure on these evenings have changed over the years. 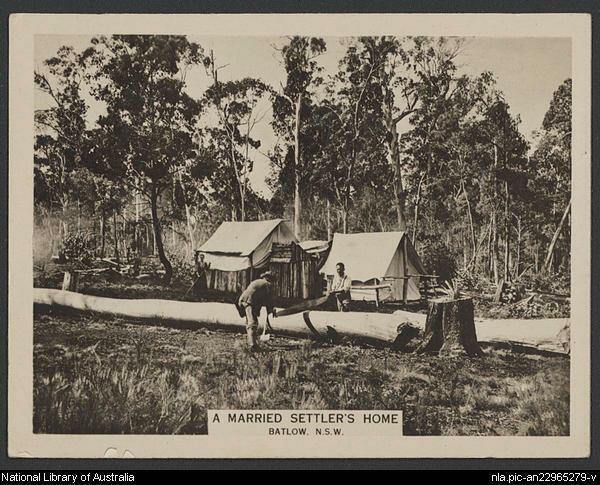 Reports of these events appear in newspapers of the times, many of which have been digitised by the National Library of Australia and are searchable on its Trove website. I was fortunate to be able to attend a Pioneers' Night with my father, Wilf "Wis" Keenan, in the 1990s. Henry John Keenan and Nancy Jane (Ann) Keenan (nee Gamble) from Glenone, County Derry, Northern Ireland, settled in Batlow (then called Reedy Flat) in about 1870. 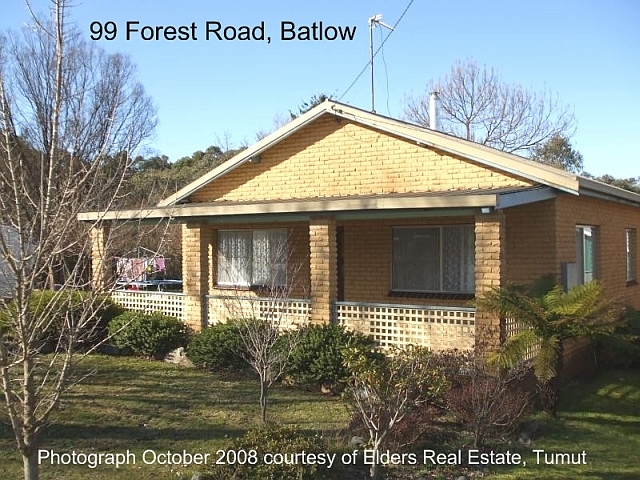 (They had lived nearby in Bombowlee before that. 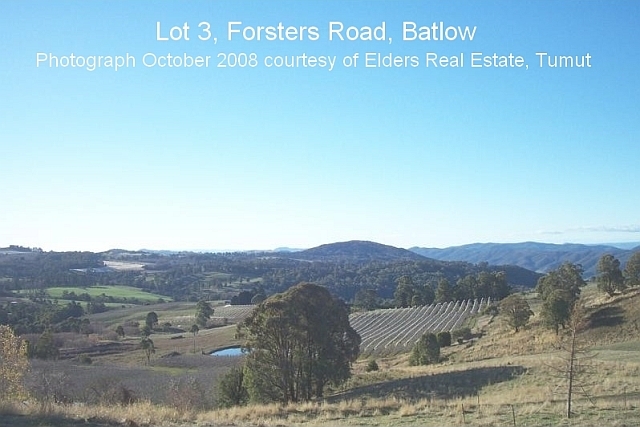 )"The site of their early Batlow home was where the orchard of Bowman & Sons now stands, and here eight more children were born, making the total family five daughters and six sons." 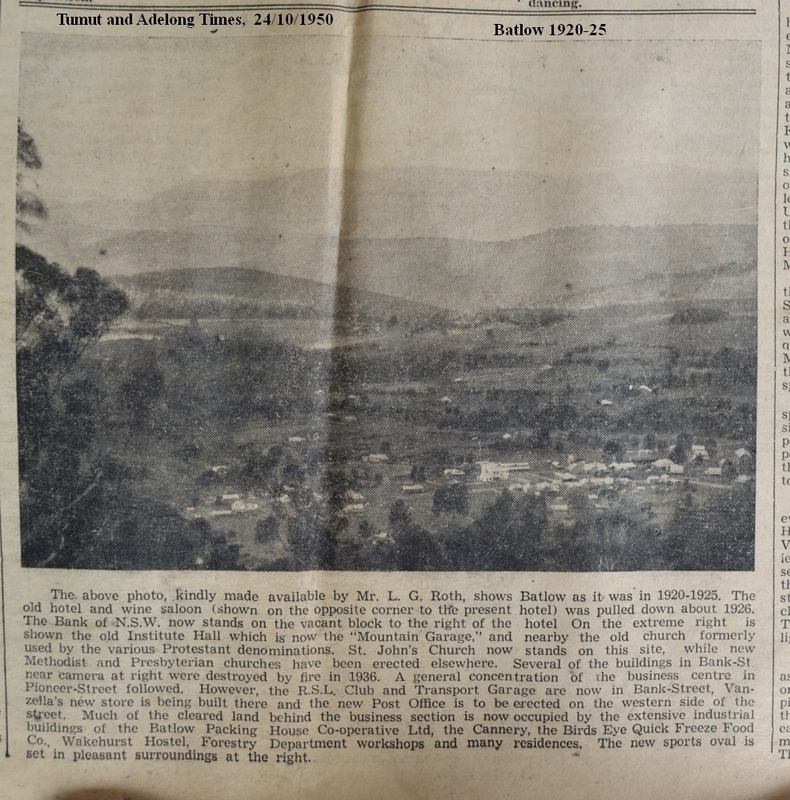 - see1949 article by grandson, George Keenan, which appeared in the Tumut and Adelong Times. 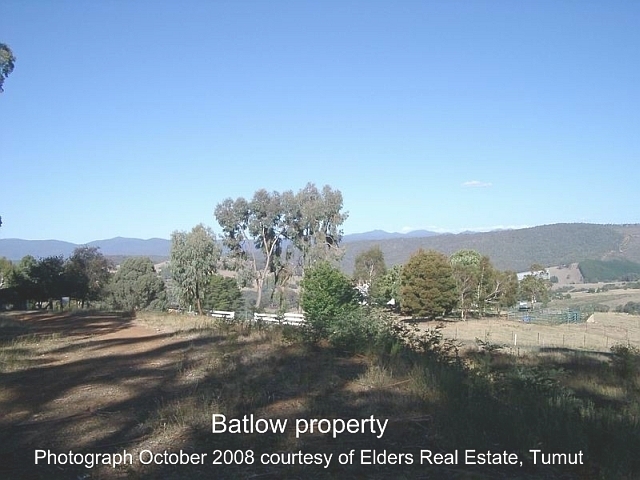 (This area is at the southern end of Batlow.) 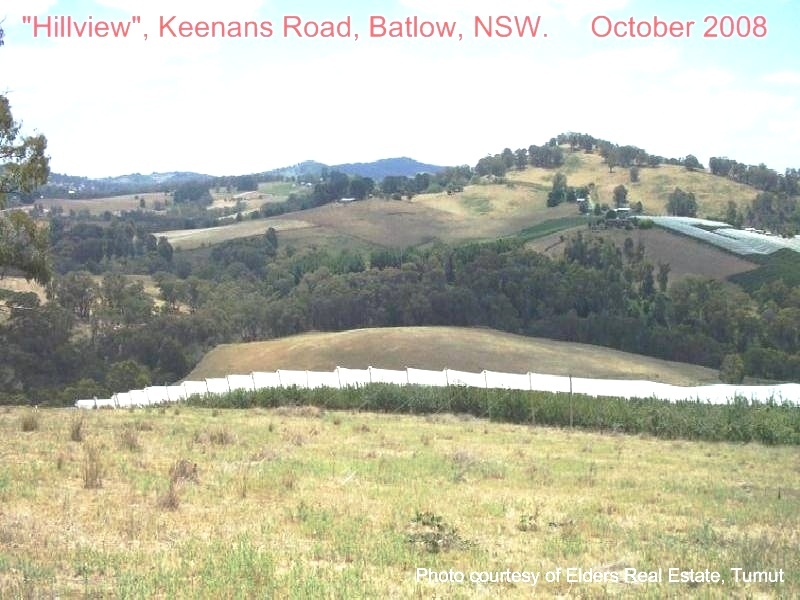 Note by Peter Keenan (Sept 2016): Henry purchased the property referred to in 1871 and sold/transferred it in 1878. Four of his children were born during this period. 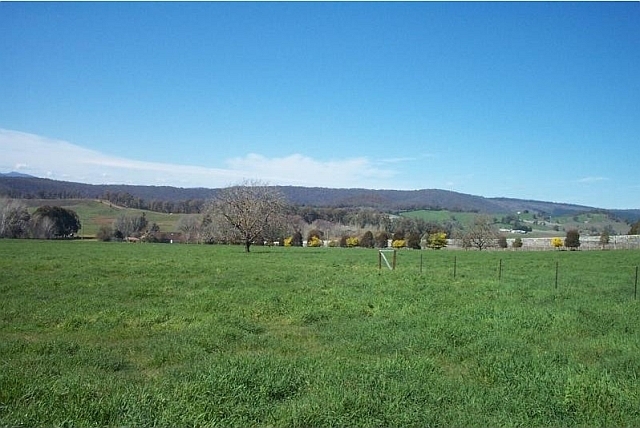 It appears that he and the family then moved a little further away, where another 3 children were born. 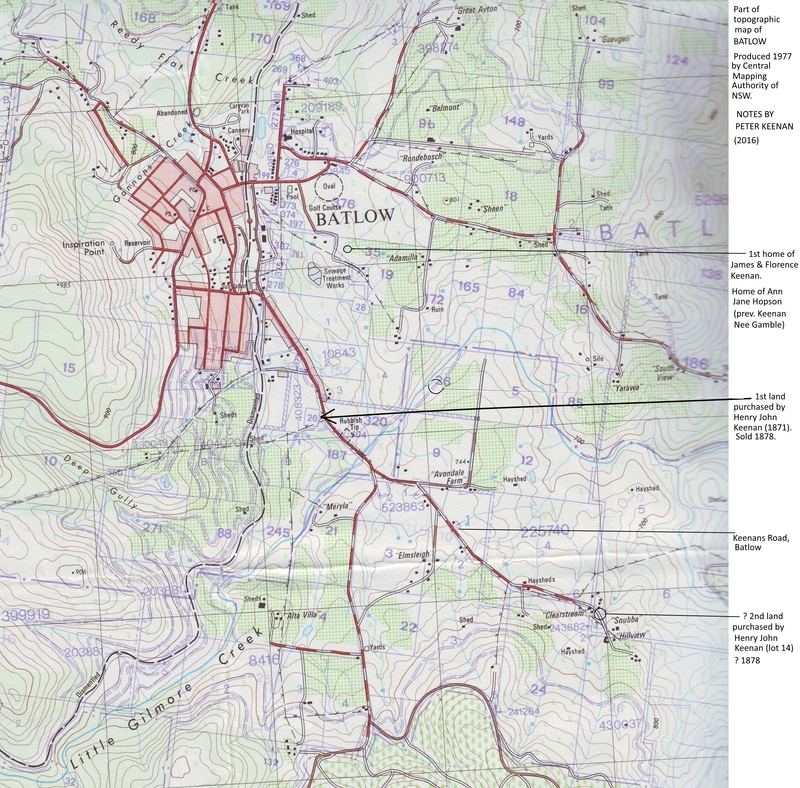 I have marked this topographic map from 1977 to show where the Keenans lived. 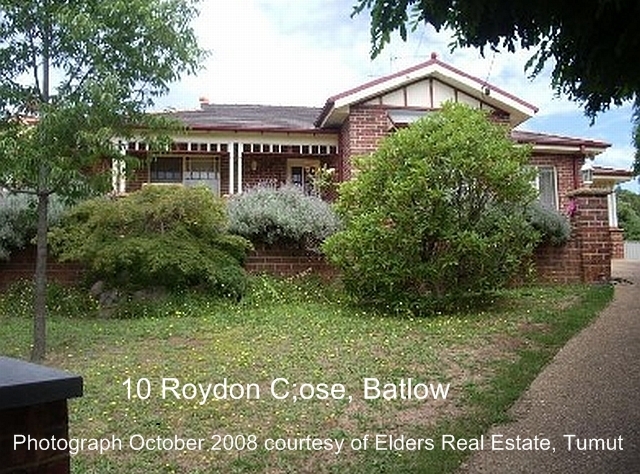 The first home was on 2 acres of land in what is now know as Mill Road, Batlow (opposite 103 Mill Road). 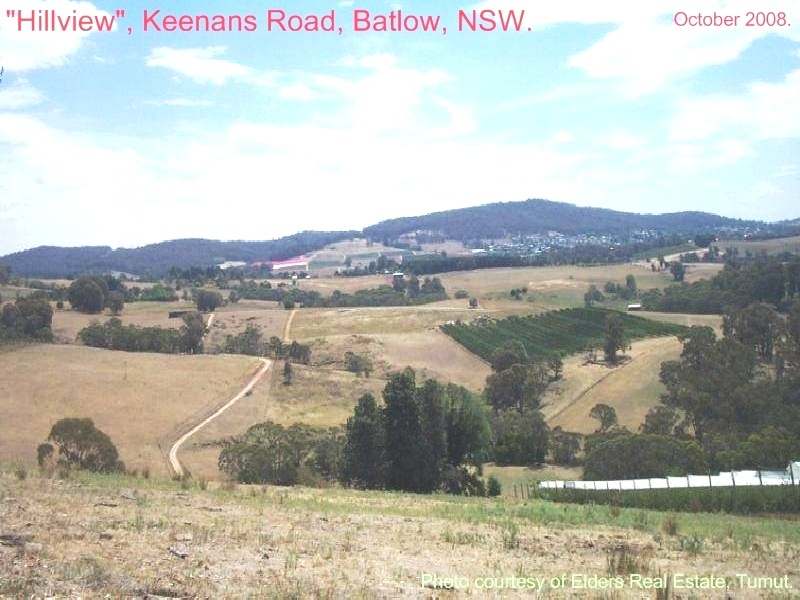 It is in this area that a road has been named Keenans Road (see maps above), so named because of the pioneering role that Keenans played in the establishment and development of Batlow, and because the farming property at the far end of the road was owned by Keenans. 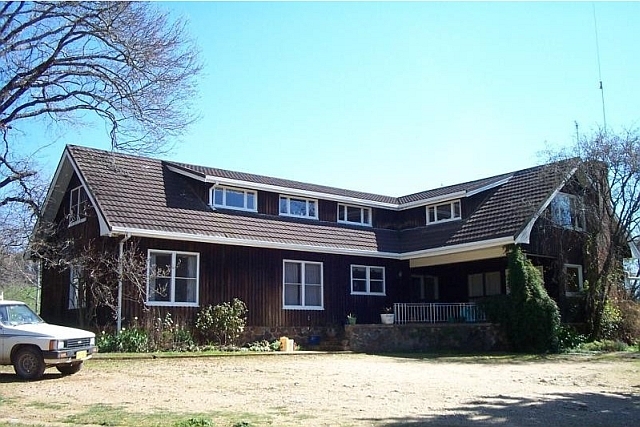 Apparently this property is still owned by Keenans. 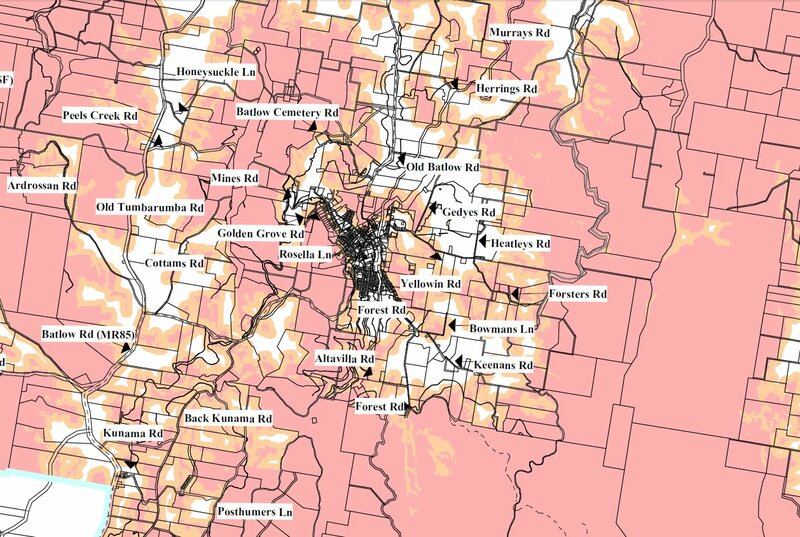 According to the White Pages Residential directory (October 2008 and August 2012), D E Keenan is at 173 Keenans Road, Batlow, and K Keenan is at 180 Keenans Road, Batlow. 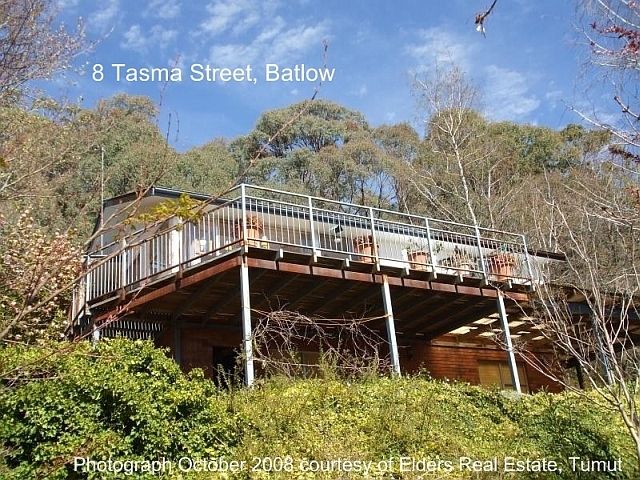 "HILLVIEW": Magnificent lifestyle block with mature orchard. 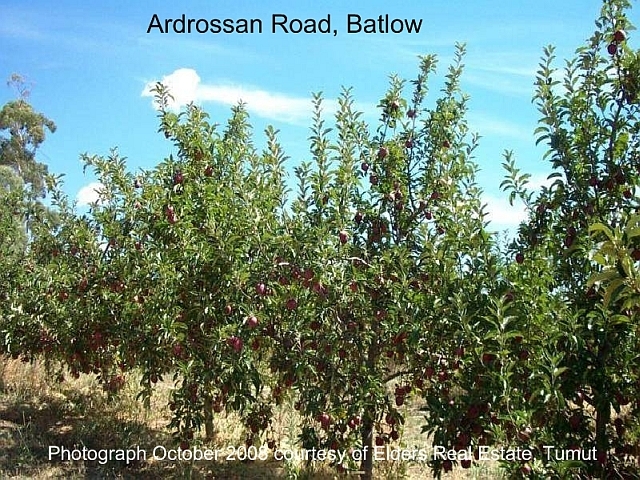 The orchard consists of over 3250 mixed variety apple trees, the majority of which have hail netting. 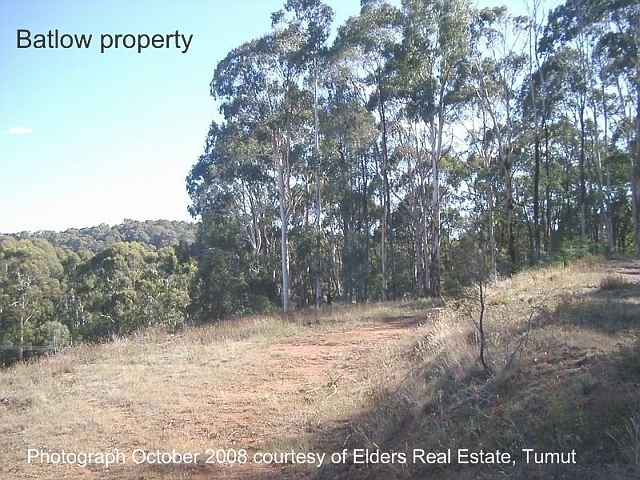 The land ranges from gently undulating open cleared grazing country through to semi-cleared regrowth grazing running to steeper timbered ridges. 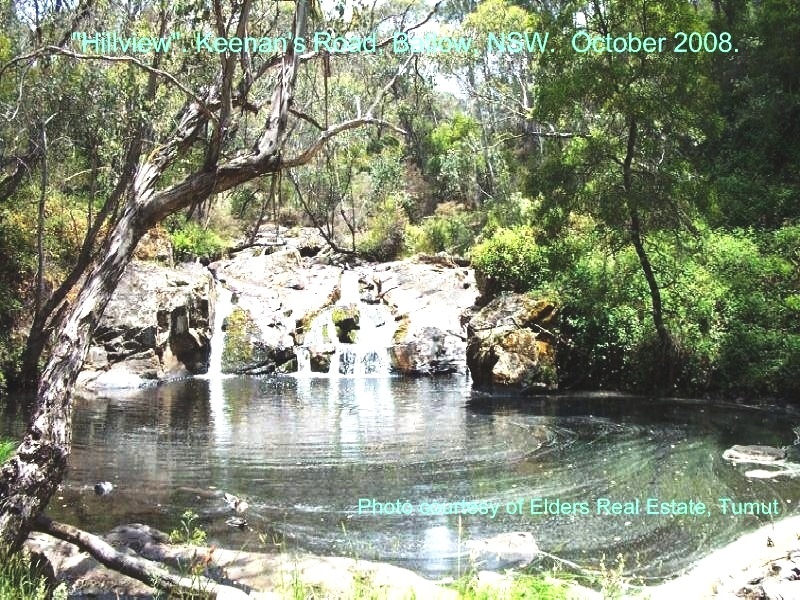 Water is a feature with about 1.2km of frontage to the Gilmore Creek with one of the best fishing & swimming holes in the district & a 6 hectare irrigation license. 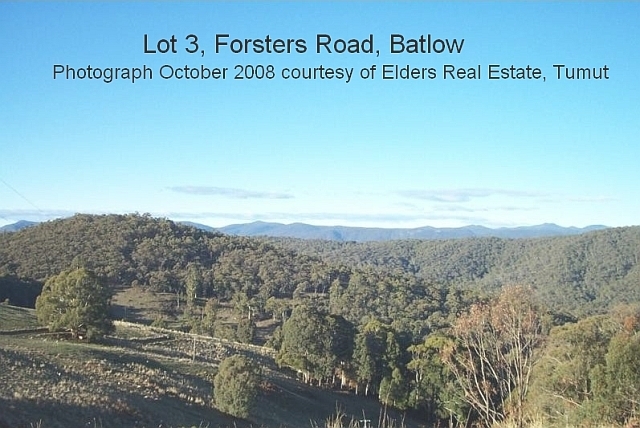 Power is on site & there are several superb home sites on the property making this the perfect getaway. 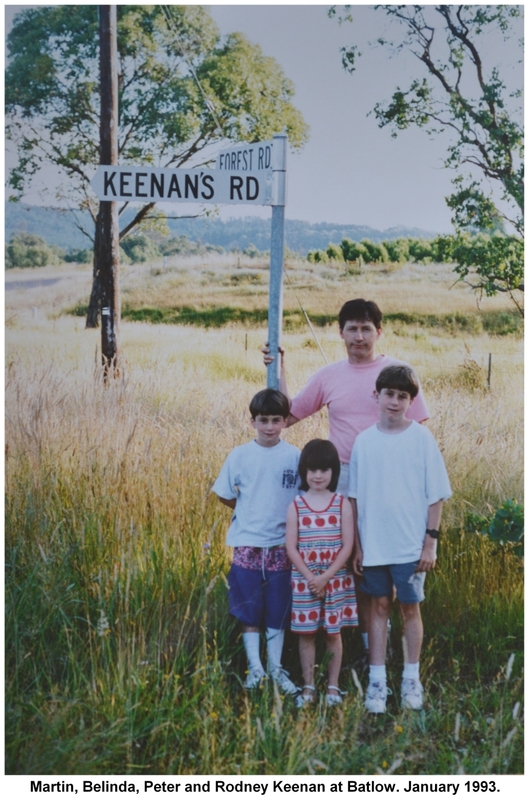 Click HERE for photograph of Peter Keenan and his children at Keenan's Road, Batlow, January, 1993. 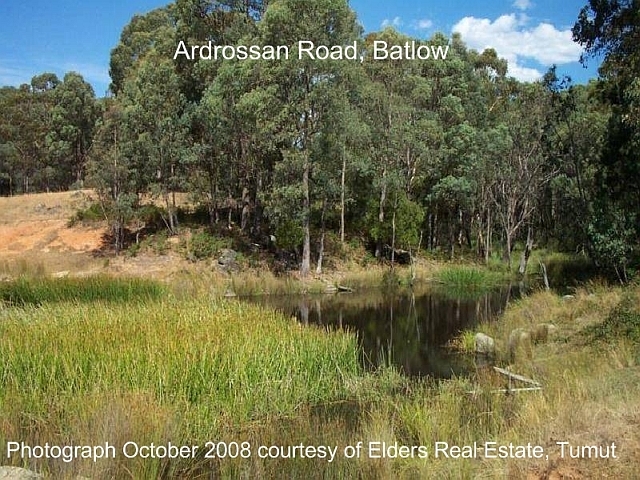 Sometime after the death of Henry John Keenan in 1889 , Nancy Jane (Ann) Keenan [who married again and became Ann Hopson] acquired a small property in another part of Batlow, near the golf course and below farming property named "Adamilla". 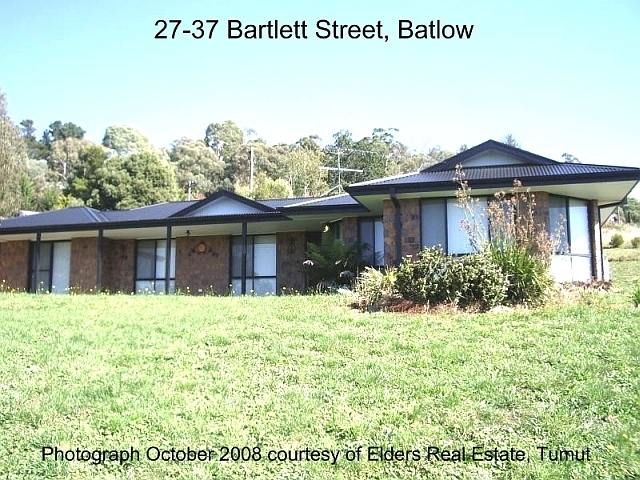 She shared this property with her oldest son, James, and his wife Florence (my grandfather and grandmother). 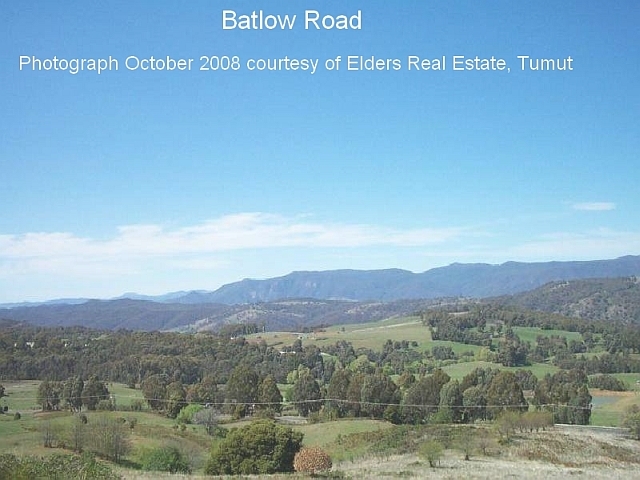 Later it was owned by James and his brother, Stuart Gamble Keenan. 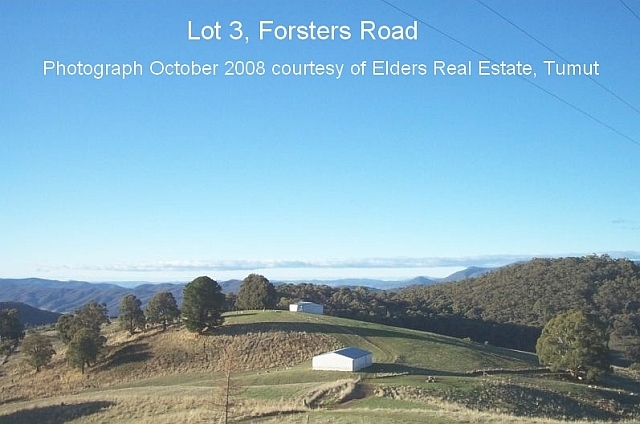 Later it was owned by Hector Keenan, a son of James Keenan. 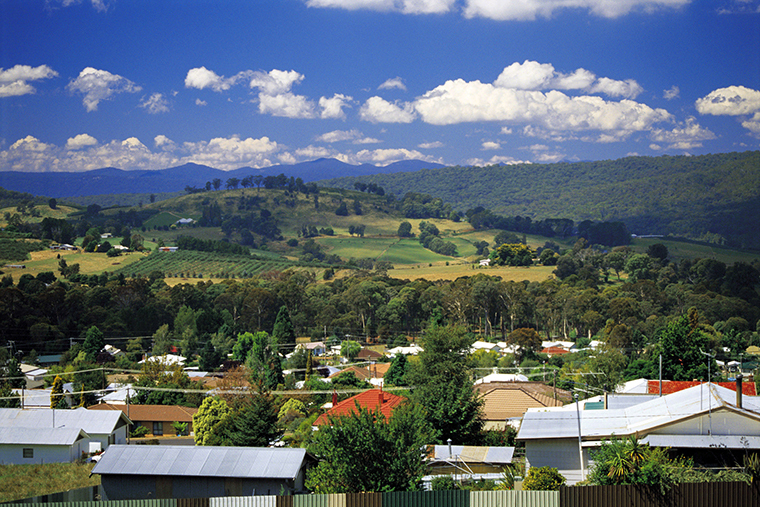 As at 15 October 2008 the White Pages residential telephone directory lists 14 Keenan households in the Batlow postcode area (postcode 2730), one in Bombowlee (2720) and two in Tumut (2720). 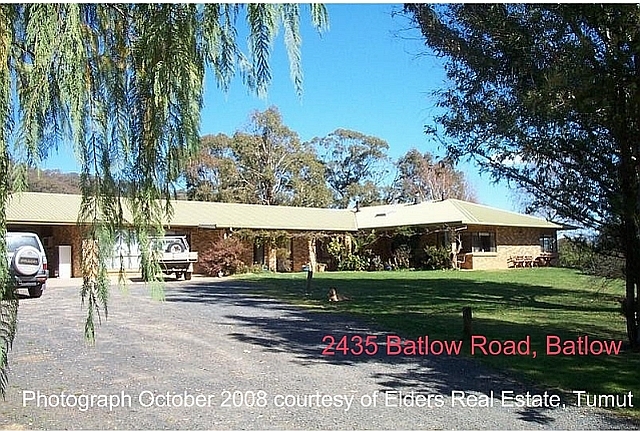 As at 12 August 2012 the White pagesresidential telephone directory lists 12 Keenan households in the Batlow postcode area (2730), one in Bombowlee (2720), two in Tumut (2720) and one in Gilmore (2720). 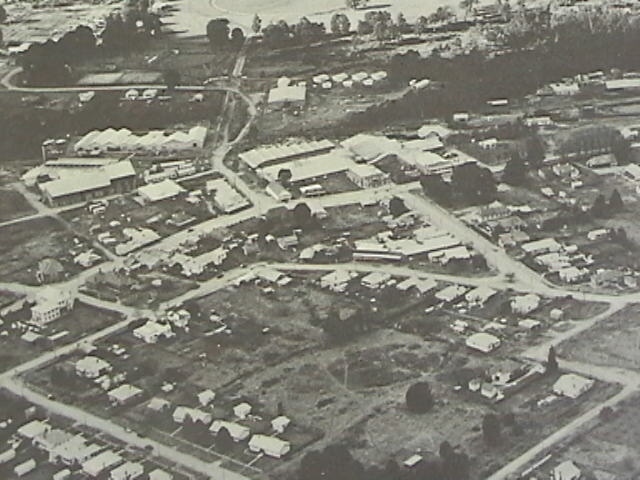 That the names of properties in Keenans Road included "Avondale", "Kevala", "Clearstream", "Snubba", "Hillview" and "Elmsleigh". About all the well known identities who are gathered here today. There are Keenans and Barbaries and more. 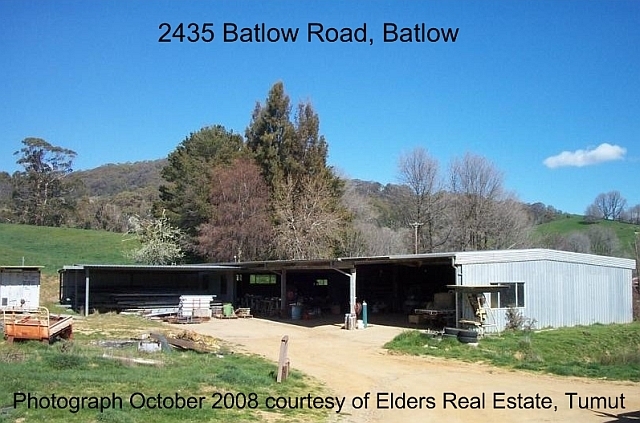 They are pioneers of Batlow, who did all the hard work before. The sweat and the curses and swearing, helped many a man through his chores. And suffered torment and hardship in search of a golden pipe dream. The gold rush soon it was ended, many settlers departed this land. The few that were left with their visions started a pioneer band. 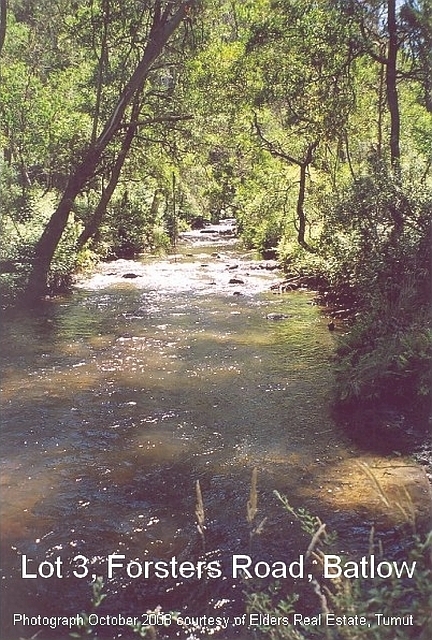 And made from the virgin rain forest, a land that would always be theirs. And many the deeds they accomplished with axes and cross cut saws. Take pause in your daily devotions and remember your pioneer line. 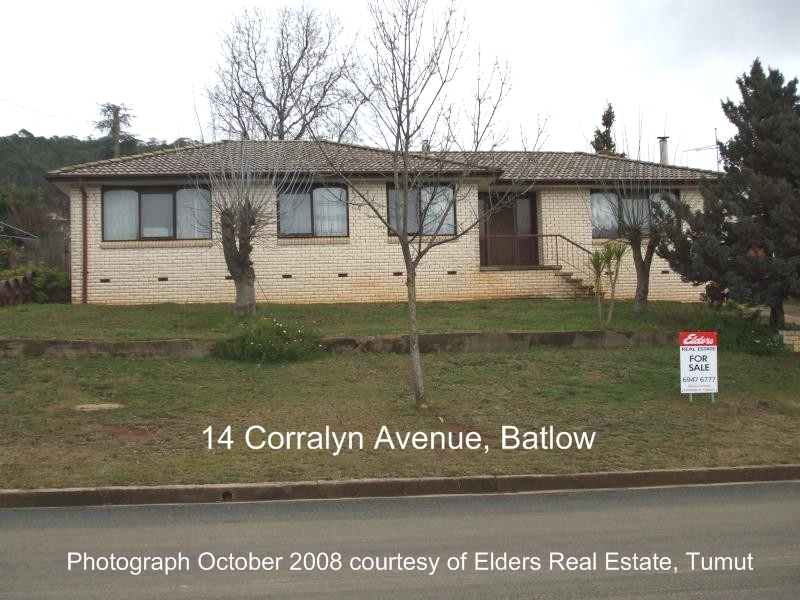 "MEMORIES OF BATLOW NSW" on Facebook. 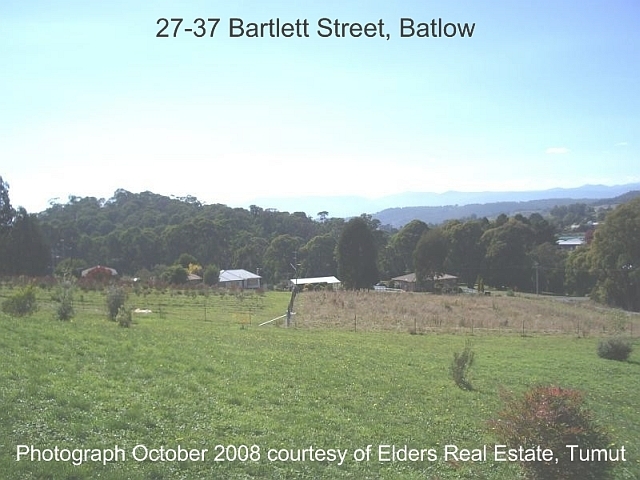 This site, which can be accessed by anyone with a Facebook account, contains many photos, documents and comments concerning Batlow. 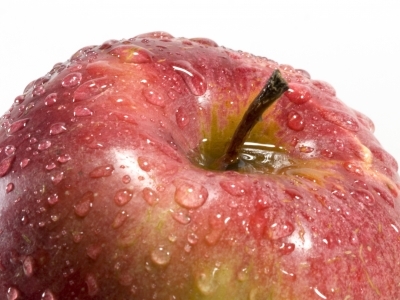 "She's Apples. 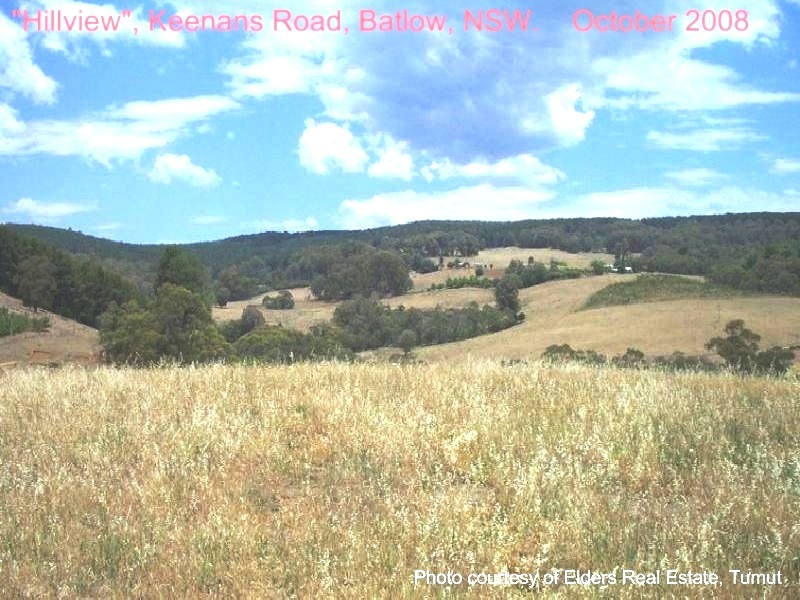 Batlow NSW". 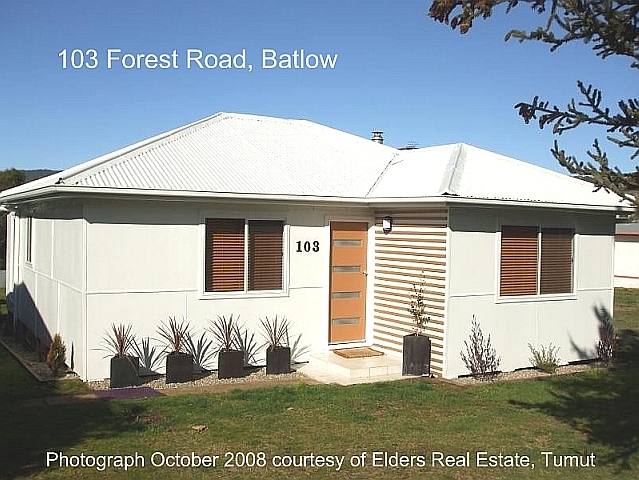 A You Tube video from ABC TV in 2010. 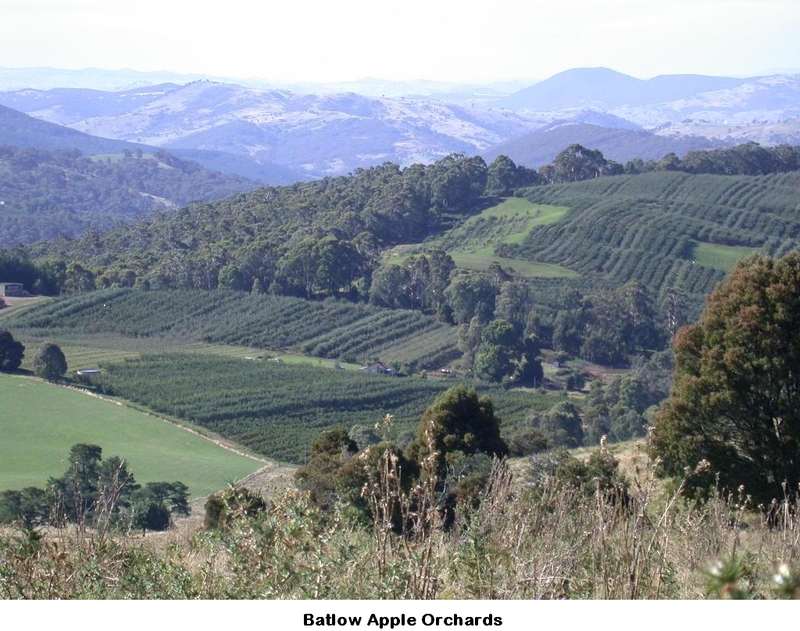 Apple Farming in Australia. From a series called ABC Alpine Stories. Featuring Ian and Carol Castles. Produced by Richard Snashall. Duration 8 mins. This photograph was published in 1925. 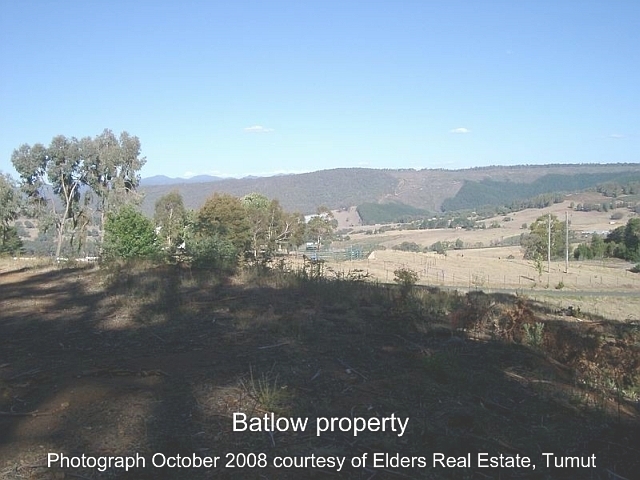 This is an old photo of Batlow taken from its lookout. 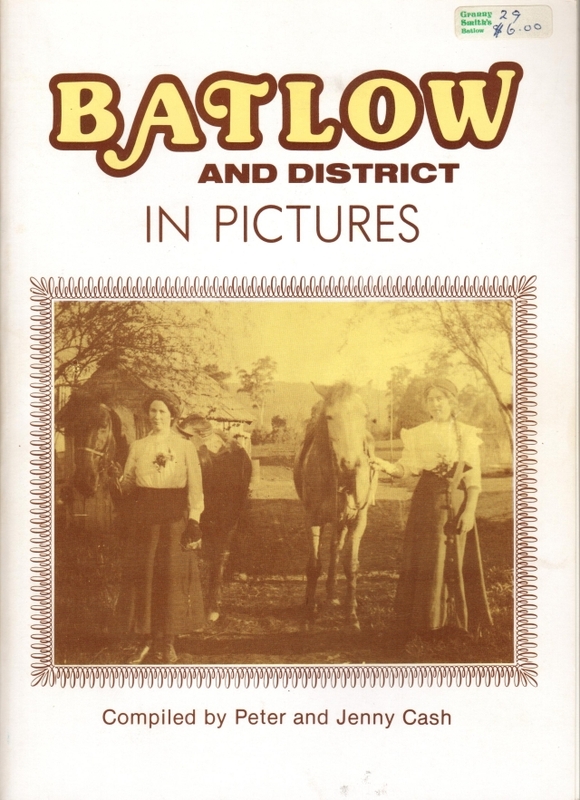 "Batlow and District in Pictures", compiled by Peter and Jenny Cash on behalf of the Batlow Historical Society, 1984, ISBN No. 0 9590314 0 5. Click here to see cover. 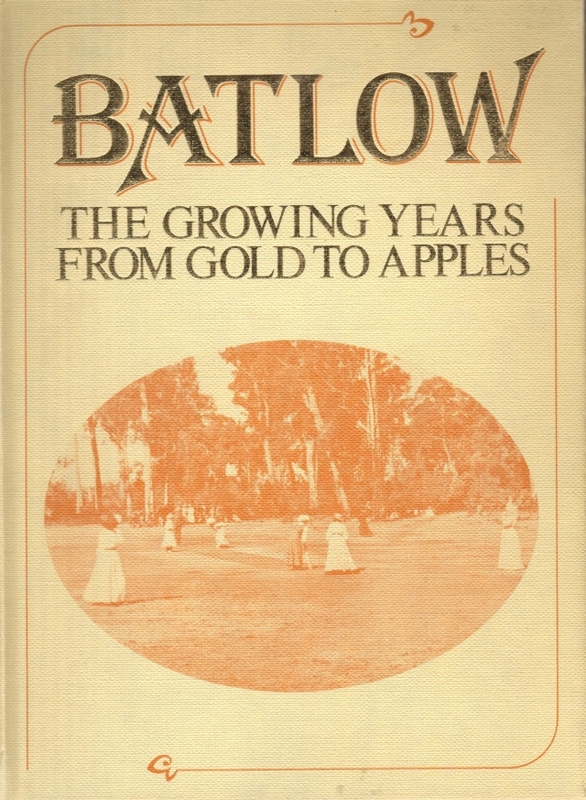 "Batlow: The Growing Years from Gold to Apples", by Batlow Historical Society, Horwitz Publications, 1975, ISBN O 7255 0310 6. Click here to see cover. 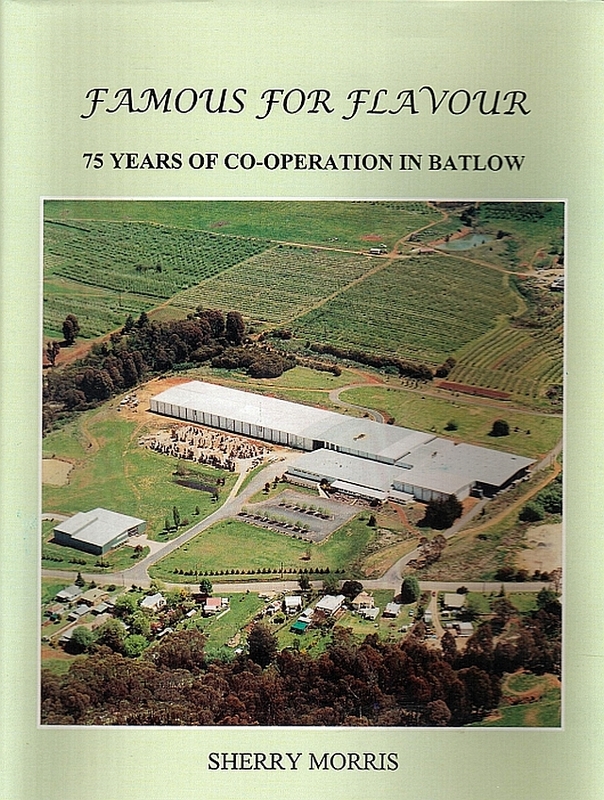 "Famous For Flavour: 75 years of Co-operation in Batlow", by Sherry Morris, published by the Batlow Fruit Co-operative Ltd, in 1997, ISBN 0 646 31710 5. Click here to see front cover.